Read and share your favorite websites and blogs with an amazing newspaper-like layout. Featured by Apple as "New and Noteworthy" and "What's Hot" in over 100 countries! • All of your news, blogs and RSS feeds in one free reader app! Newsify is free to download and use. Newsify Premium unlocks these amazing features. Try it free for 7 days! • Newsify Account Plus: Add mute filters, get new items up to 10x faster and keep more feed history. – To start your trial: Select Premium in settings and tap "Start free trial"
Newsify Premium is $2.99 USD per month or $29.99 USD per year and may vary depending on your location. If you choose to purchase Newsify Premium, payment will be charged to your iTunes account, and your account will be charged for renewal 24 hours prior to the end of the current period. Auto-renewal may be turned off at any time by going to your settings in the iTunes Store after purchase. Any free trial period remaining will be forfeited when purchasing Newsify Premium. Thanks for addressing the issue I brought up about using the same browser choice when tapping on links and swiping to the left. Now this app is practically perfect. 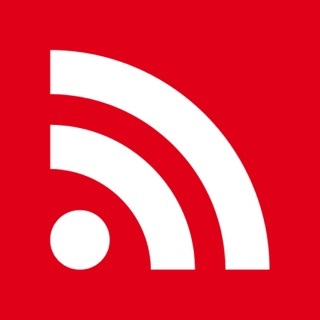 By FAR the best RSS reader out there for many reasons. 1. List articles in an order based on the time they were downloaded/received on your device. Right now they are listed in a chronological order based on the time stamps of the articles. If an author publishes an article at 4AM but lists it as 10PM, the whole day this article stays on top till after 10PM, which is a mild annoyance. 2. Accessing the list of subscriptions inside a folder should be more intuitive. Right now you're required to long-press on a folder to open the sub list. You can add an arrow button on the right end of each folder for that instead. 3. On ipads, especially larger ones, add a preview panel on the right, like Mail. Keep the article list shown on the left. 4. Bug: right now if you open the safari view controller (doesn't matter if you stay in the app or switch to another app/home screen), when you go back to the article list from the safari view controller, the auto refresh won't work until you switch out and back in to the app. 5. Bug: Very rarely the article list freezes for no reason. 6. A grey theme would be nice even for the day time. It's available in safari's reader view which has 4 themes. I've been through a lot of IOS news reader apps. Many of them had outstanding features, but none brought so many together as does Newsify. Great look, system of viewing articles (and a choice of preference there), saving, and sharing. I cannot imagine any RSS reader improving on what this app delivers, and so I'm putting this quest to bed. I can add, through my own experience, a report on support. I was having a problem with one aspect of the app that would have been quickly and easily corrected in settings, had I not repeatedly overlooked the toggle. Through support services contact, the developer patiently pinpointed the source of my issue, and clearly supplied the remedy. So, I can attest to Newsify's stellar customer support. This is a very flexible news/RSS reader app. While other similar apps try to guess what you may want to read next, this one does no such thing. It gives exactly what the user sets up and nothing else, which is very refreshing and increasingly rare. The only thing I would like is an option to start the app from the home/main page (the screen that shows the settings gear icon at the bottom right corner). Currently when you start the app, it takes back to where you were the last time you used the app. This is probably very useful to many users, but I personally would like the app to show the main page when the app starts. This would make this amazing app even better.